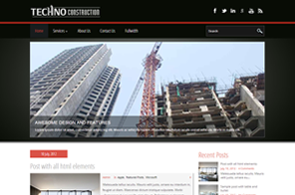 TechnoConstruction WordPress theme is a smooth, clean and professional theme for construction industry. It has features that makes it a cutting-edge theme such as drop down menu panel, sidebar, widgets, slider, thumbnail posts and lot more. It is accessible in almost all browsers whether it’s the chrome or safari. 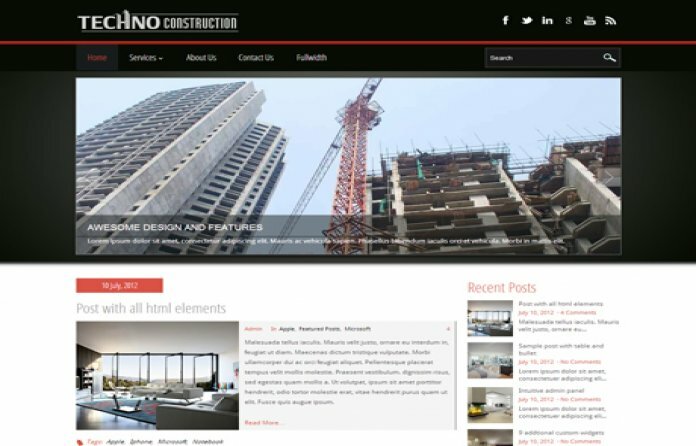 Responsive layout of TechnoConstruction is fabulous as it makes the theme view able on major sizes of screen.